MultiBrief: Is the new Macan worthy of the Porsche badge? Is the new Macan worthy of the Porsche badge? 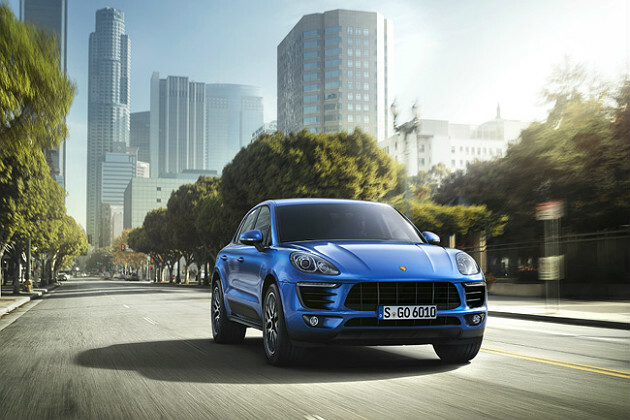 A few weeks ago, Porsche unveiled the much anticipated Porsche Macan. The new compact SUV is the German performance carmaker's first attempt to enter that segment of the market. This new segment has the potential of being quite profitable for Porsche. With the chance of a good financial gain, it is no wonder the automotive manufacturer would like to enter the market, but is the Macan worthy of wearing the Porsche crest? The Macan certainly looks the part. Its styling is similar to that of the Cayenne, but with a few differences — including the 3-D styled rear tail lights. The compact SUV is build off the Audi Q5 platform, which has proven to be a good one. But is the Macan able to handle the type of performance that is expected from Porsche? The answer is yes, once the engineers from Stuttgart were able to do some tuning to make sure the new vehicle was able to handle all that would be thrown at it. Of course, the heart of any car is its engine, and that is where the true mark of the Macan's performance begins. Two trims debuted at the LA Auto Show — the S and the Turbo. The big difference between the two is the engine size and the available performance. Both the S and Turbo feature V6 engines that are turbocharged, but the displacement of the Turbo is 3.6 liters vs. 3.0 liters for the S model. The S model puts out a good 340 horsepower, and the Turbo ups that power all the way to 400 horsepower. Both models are only available with the lightning-fast-shifting PDK dual-clutch transmission. When optioned with the Sport Chrono package, the Turbo can rocket from 0-60 mph in a scant 4.4 seconds, while the S will take 5.0 seconds to hit 60 mph. Those performance figures will help the crossover keep up with many pure sports cars. The new Macan certainly looks like it has the performance that one would expect from a Porsche. The big question that many enthusiasts will ask is should Porsche be entering the compact SUV market? Does doing so take away from the brand that has historically made pure sports cars (at least until more recent years)? I used to think Porsche should only make sports cars (by that I mean traditional sports cars that only have two doors), but that was before I had a family. After having children, I could see the appeal of being able to drive a high performance car, like the Cayenne, Panamera or Macan that can haul the family around, but can still feel like driving a 911, Cayman or Boxster. So, Porsche has seen a market of people who don't want a larger SUV and a sports car or sedan doesn't fit their needs. The Macan looks to fill that market — and if it sells like the Cayenne, it should be a successful vehicle. What should those enthusiasts who wish that the company only produce pure traditional sports cars think about the Macan? I think they should embrace it because if it is a sales success, then more funds will be available for development of cars like the 911. So, each time you see a new Macan driving (or a Cayenne or Panamera for that matter), just remember that car will help provide major funding for all future models including the pure sports cars. David Hurth is the editor-in-chief of OurRideLife.com. He is an avid automotive enthusiast and enjoys driving and working on sports cars. David has had articles appear in magazines such as Excellence and 9 Magazine as well as the blog TopSpeed.com. Should Porsche stick to sports cars?